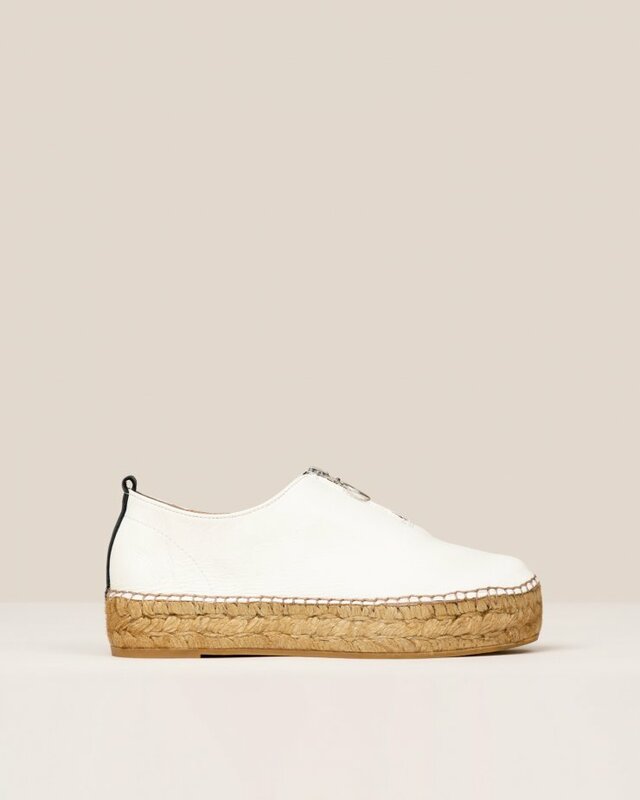 Cream leather espadrilles. Elastic detail across the top. Closed at heel and toe. 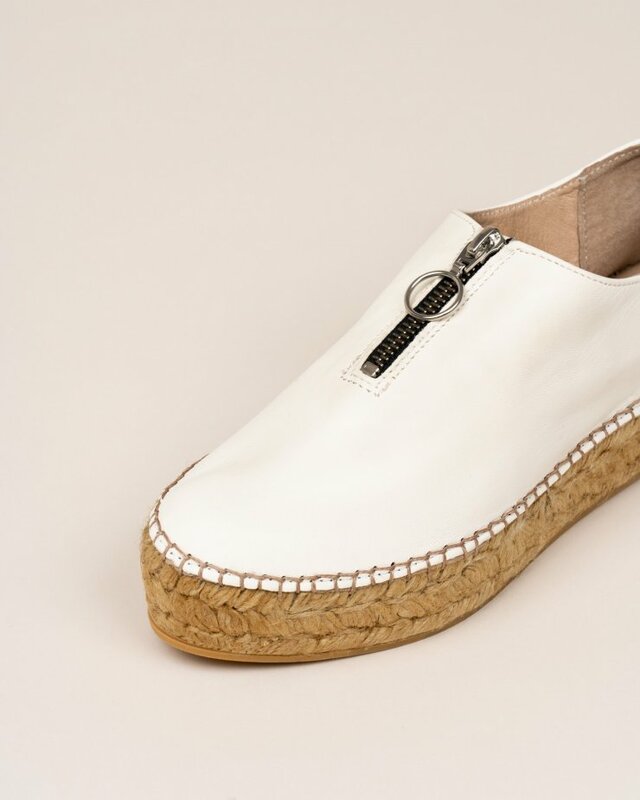 Platform in combination of materials white Rubber and jute.